Elegant, food friendly wines made for Isabel by her son, Rob Mondavi Jr. Initially envisioned as "just a few cases for Mom," the Isabel Mondavi wines have found greater appreciation from consumers worldwide but maintain the same inspiration. 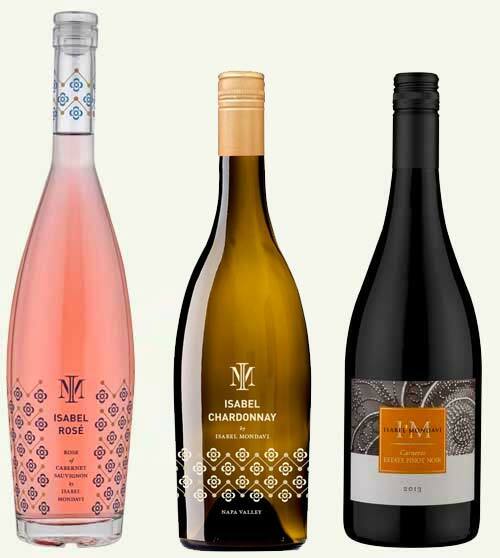 The wines are produced in a style that Isabel herself enjoys drinking and sharing: flavorful, tastefully made, food friendly and easy to appreciate. Isabel —who knows a thing or two about hospitality— believes that a wine should complement a meal rather than compete with it, which is why there is such bright acidity and beautiful balance to her wines. What started as a "just few cases of rosé for mom," Isabel Mondavi Wines turned into an exciting new venture thanks to the food-friendly wine style and attractive labels. A true family affair, Isabel's daughter, Dina, leads the packaging and blending, while Isabel's son, winemaker Rob Mondavi Jr., manages the cellar. Isabel's husband and wine industry veteran, Michael Mondavi, is the brand's biggest cheerleader and fan.